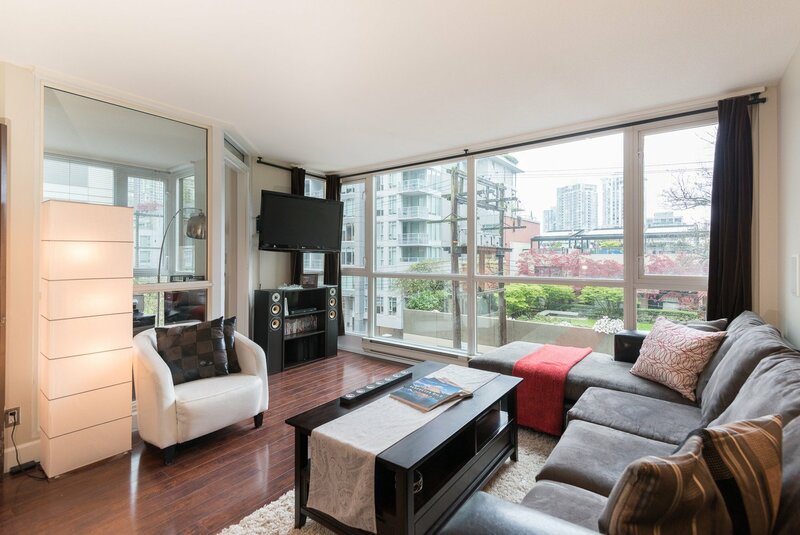 Completely renovated 2 bedroom + den in the heart of Yaletown! Corner unit on the quiet side of a fantastic building. Prime location across from Emery Barnes Park & steps to Yaletown's best Restaurants,Shops and Canada Line Skytrain. Fully Renovated with Laminate throughout, Stone Countertops, Stainless Steel Appliances, Custom Closets and more. Proactive building extensively cared for; Fully Rainscreened('06),New Piping ('11) and just completed Lobby, Gym & Elevator Renovations('14).Rental Friendly for Investors & Perfect Home for First Time Buyers for Property Transfer Tax Exemption! Open House: Sunday July 27, 12-2PM.